We are proud to announce that Everglobe will be attending the 10th annual conference in Negombo, Sri Lanka as one of the VIP members. MarcoPoloLine Network is one of the most important worldwide networks of freight forwarders in the world with a presence in 99 countries and more than 313 offices around the globe. This year will be an even more special meeting due to the 10th anniversary of this network. There will be more than 150 attendees from 40 different countries with very important conferences and face to face meetings to push new businesses, and cooperations among the members. Everglobe will launch its services as the official International Trading company of MPL for U.S.A and Latin America. 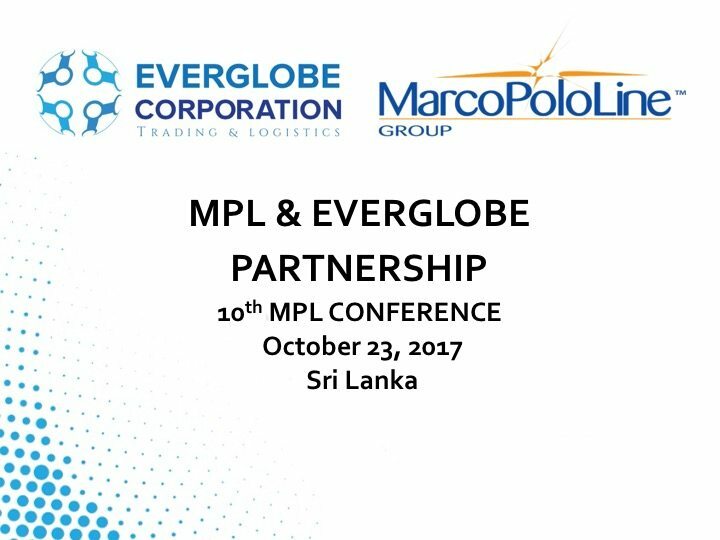 This participation will propel the Everglobe business among the MPL members and will showcase the experiences in the different markets we have currently. See you there!